As far as my expertise is concerned. I have been teaching both modules that is General training and Academic from past 3 years. I also have an experience of home tutoring where I can render the student with best of the tips to achieve the best score. I have tutored many students who had been looking up to their up gradation from a beginner level to an intermediate level and potentially to an advanced level with their curiosity and diligence in the field required. 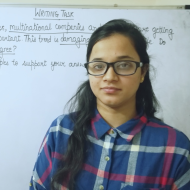 "Shreya is very knowledgable on the topics that she teaches, she has helped me with IELTS. One of the best trainers I have come across who encourages the students on a daily basis. She is very flexible and is available whenever necessary. I strongly recommend her for IELTS. Thank You"
"Shreya is a wonderful trainer, she has a lot of patience in understanding, explaining and correcting my mistakes. I have had one of the best learning experience. Thank you"
"Taking course from you, its been a great step for me to understand the subject. your suggestion helped me fro tackling questions in an easy way, Thanks for that." 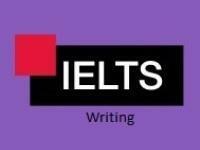 "Shreya is an excellent IELTS trainer, she understands the learning requirement quickly and adjust the coaching plan accordingly." Is it possible to prepone/postpone the IELTS test? Yes, it is possible to postpone the exam by mentioning the genuine issue that you are facing. For example, by showing your medical condition you can convince them to postpone the exam. How can I improve my communication skill? Communication as being understood is to talk and exchange the emotions in mind to words. So, the best method to improve and ameliorate your skill is to talk with all the broken words and unfound meanings initially. As, it gives you a way to know your area of upliftment and as you continue with rage of learning and not falling behind, the skill set gets better day by day. Yes, guidance is the key to flourishment but your effort is must everywhere. IELTS being one of the globally accepted English proficiency exam is purely a gateway to get permanent residency in Canada. However, the current points cutoff is 440 which would be the sum total of background studies, work experience, the martial status etc and above all, the bands needed ought to be CLB9 meaning Listening-8 bands and the rest of the modules require (R/W/S) 7 bands each to get the highest points to be added to your profile. Once done you can calculate your score on CRS calculator for tentative points and eligibility for the express entry for your satisfaction and proceed further with filing process. Shreya M. describes herself as Ielts Tutor. 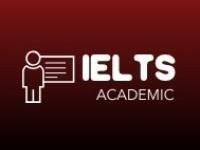 She conducts classes in IELTS Coaching and Spoken English. Shreya is located in Wakad, Pune. Shreya takes at students Home, Regular Classes- at her Home and Online Classes- via online medium. She has 10 years of teaching experience . Shreya has completed Bachelor of Technology (B.Tech.) from Punjab Technical university in 2013. She is well versed in Hindi, English and Punjabi. Shreya has got 28 reviews till now with 100% positive feedback.